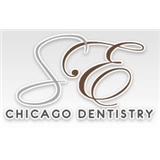 SE Chicago Dentistry (Chicago) - Book Appointment Online! Welcome! The professional Chicago dentists at Stone Dental Group and East Erie Dental are pleased to welcome you to our practice. We want all our patients to be informed decision makers and fully understand any dental health issues you face. Dr. Djukic is an excellent dentist. Her work on me has been outstanding. Highly recommended.